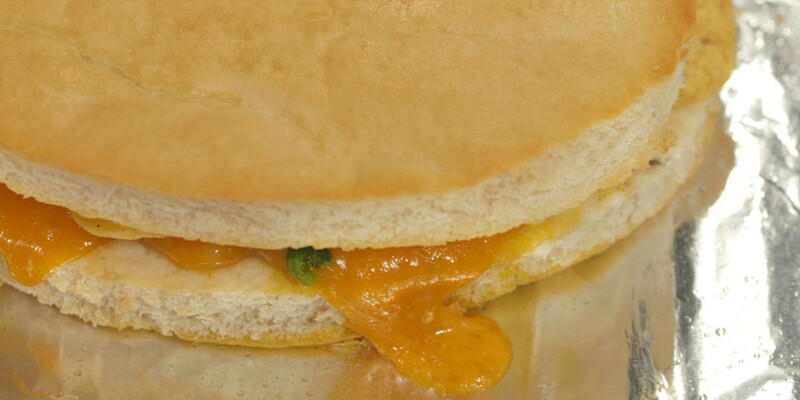 On January 4, 2009, I started blogging about grilled cheese sandwiches and began my fascination with this amazing sandwich. It has been 70 sandwiches and counting, with no plans to slow down. 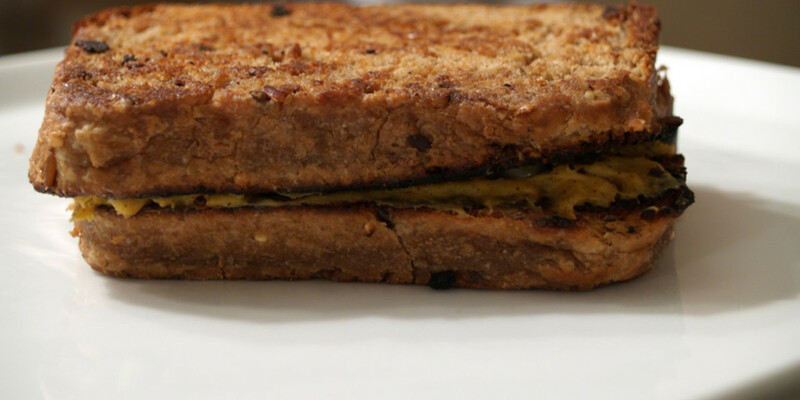 It all began with wanting to improve my cooking skills and to create a list of many very, very good grilled cheese sandwiches for future reference. SInce then, it has turned into so much more and has even permeated into my “real life.” No longer am I working at a desk as a webmaster, but now I am working full-time in the restaurant business and taking culinary classes. It has been almost one year since I traveled to the The 1st 8th Annual Grilled Cheese Invitational and engrossed myself in the grilled cheese culture, learning as much about myself as the grilled cheese. I am on Twitter and Facebook, quickly becoming known as GrilledShane (thanks to Kyle) and “that grilled cheese guy.” I have gone all in and am slowly making progress. This look back is to celebrate the grilled cheese sandwich and my progress. This seems like as good a time as any. 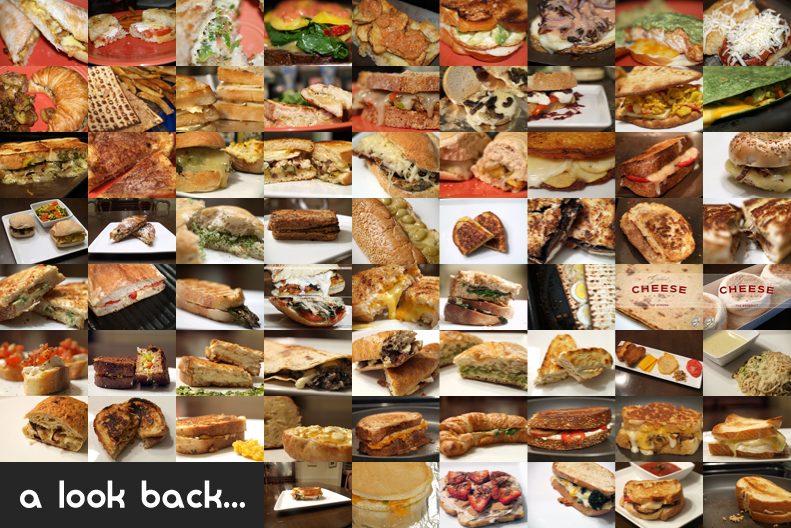 Let’s take a look back at all 70 sandwiches I have created, and please add any and all thoughts in the comments. When I originally planned to write this blog entry, I had the idea of copying and pasting information from past blog entries, and maybe adding an additional thought. Not much else. It was a good idea but, in my opinion, somewhat boring. That is when a light bulb appeared over my head and I devised what I think is a great idea. 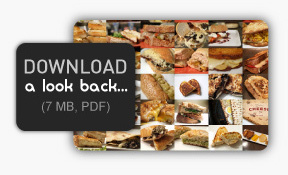 Why not create a downloadable PDF that looks back? It took some time to figure out how to create a multi-page PDF with the tools that I have, but when I finally did, I was on my way. There may be a small problem with zooming and “Actual Size,” but overall, I think everything came out really well. The file is 7 MB so it may take a second, but I believe it to be well worth the wait. Once you have downloaded a look back, and looked through it, please let me know what you think. I would love to hear your comments. 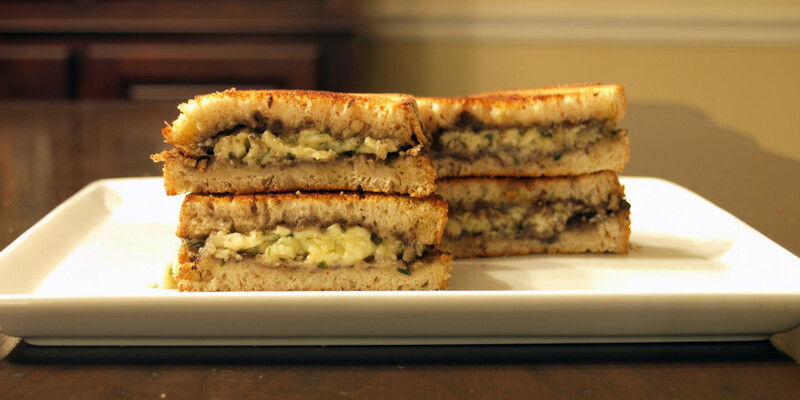 Here is to many, many more grilled cheese sandwiches! This is great Shane! Amazing work over the past several years and some really creative ideas.